At this year's Nintendo Direct event, the Japanese company made a surprise announcement of a new set of Joy-Cons for their ever successful Nintendo Switch handheld gaming console, and they are designed after the classic NES controllers back in the day. These new controllers are equipped with Bluetooth functionality which enables players to use it with the Switch wirelessly. It can be charged by simply sliding or connecting them on both sides of the Nintendo Switch. 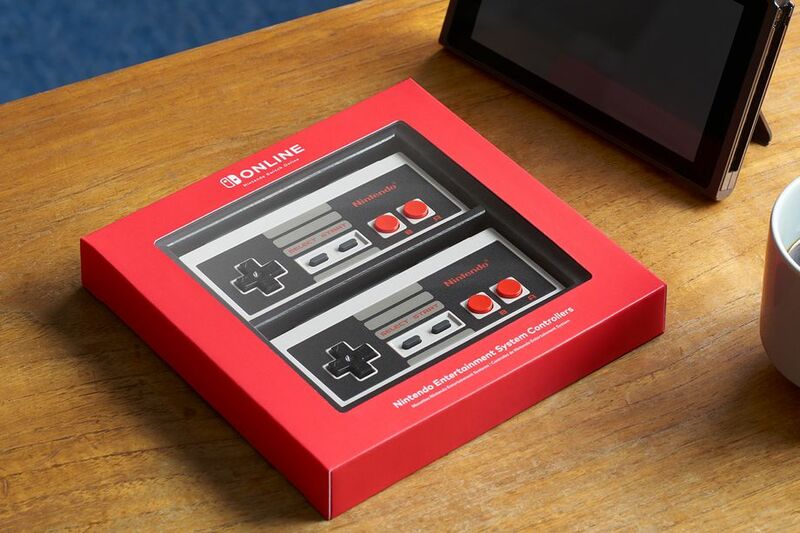 The NES controllers for Switch is designed to specifically work with the classic 20 NES games that will be initially launched with the Nintendo Switch Online service. This will definitely add more nostalgic feelings while playing those games on the Switch with these new pair. However, there is a small catch though. Only those who subscribe to the Online Service (which you can learn more here) will be allowed to purchase these. And only one pair will be allowed to be purchased per one subscriber. "Please note: Nintendo Entertainment System Controllers can only be used while detached from the Nintendo Switch system, and only to play NES - Nintendo Switch Online games. Nintendo Entertainment System Controllers can be charged by attaching to the Nintendo Switch." The NES Controllers are sold for $59.99 a pair with shipping to begin in mid-December 2018.